A World Without Cancer? 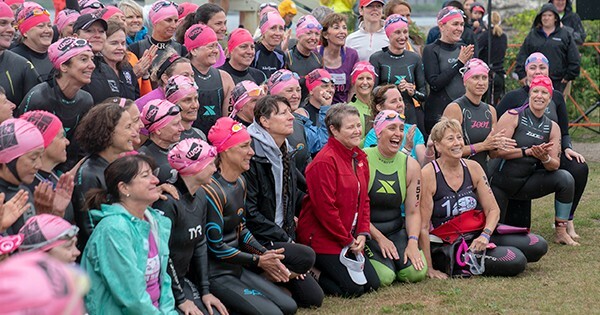 How 23 WEX Women Are Tri-ing to Get Us There | WEX Inc.
One out of four of us will be diagnosed with cancer in our lifetime. That’s tough information to swallow, but even tougher are the 23 WEXers who joined 1,300 fellow Maine residents for the state’s largest triathlon—the 11th annual Tri for a Cure—this past Sunday. 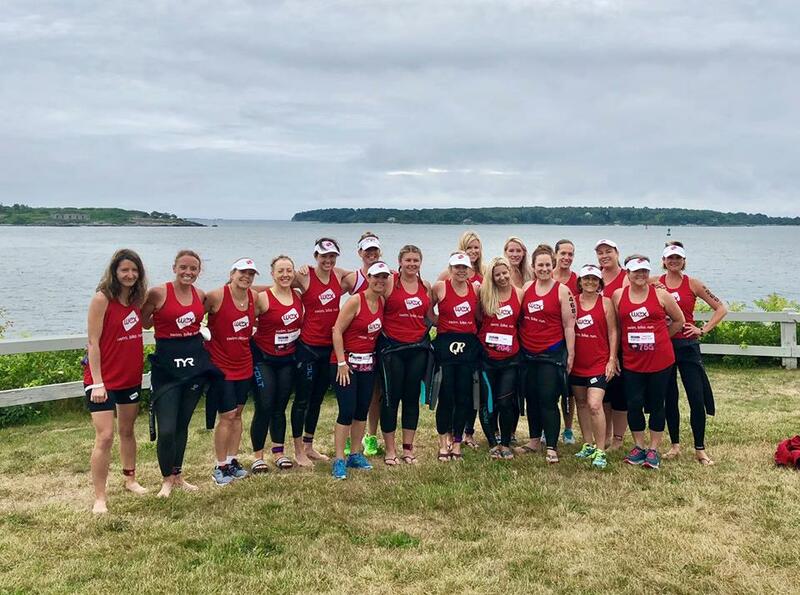 Not only is the Tri for a Cure Maine’s only all-female triathlon, but it has also become the largest single-day fundraiser in the state. Participants tough it out through a one-third mile swim, 15-mile bike ride and three-mile run, all while raising money to help the Maine Cancer Foundation reach its goal of reducing cancer and mortality rates in Maine 20 percent by 2020. Cancer rates in Maine remain significantly higher than the national average, and the highest in New England. Organized by the foundation, the triathlon took place on the campus of Southern Maine Community College, ultimately raising nearly $2 million. As the Tri’s presenting sponsor since 2012 and a supporter since year one, WEX is proud to have a big presence at the event. Our CEO Melissa Smith even participates, with 2018 marking her tenth Tri for a Cure triathlon to date. This year, Melissa also delivered opening remarks, calling on the crowd of wetsuit-wearing women to be fierce. Some participating WEXers gather for a group shot before getting in the water. We’re so proud of all women who participated in the Tri for a Cure this year and in previous years. And of course, the event would not be the success it is without the amazing volunteers and spectators. To find video of WEXers telling us #WhyITri, follow us on Instagram at @WEXatWork.